Are you looking for the best way to create a multilingual WordPress site? As you’ve probably figured out already, WordPress doesn’t offer any built-in functionality to create a multilingual website as some other content management systems do. Don’t worry, though! You still have plenty of options to create a multilingual site. 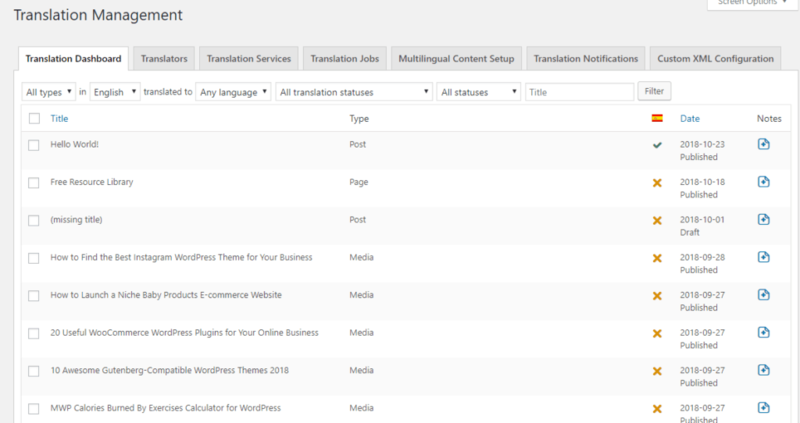 All you’ll need is a WordPress translation plugin to help you get the job done. Next question: how do you choose a translation plugin for your site? Well, that’s what we’re here to help you with! We’ll show you how to create your own multi-language site using a few popular solutions. And we’ll also compare and contrast each solution so that you can pick the tool that suits your needs. 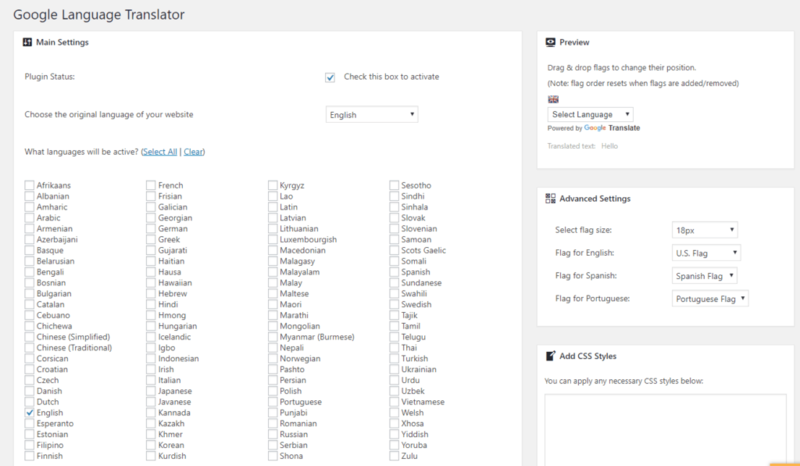 Ready to get started with your multilingual WordPress site? Let’s dive in! 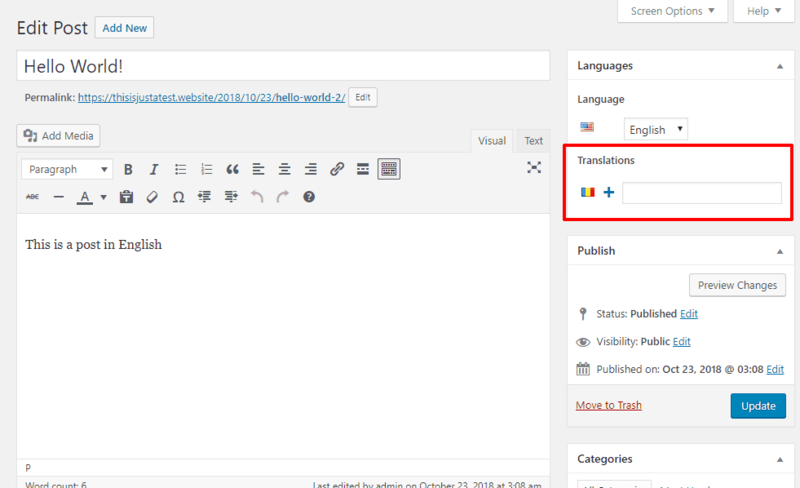 Before we get to the translation plugins, let’s do a quick rundown on what to look for in a multilingual plugin. The answers to the questions here will play a big role in helping you decide which translation plugin is best for you. How Will You Translate Your Content?How Will You Translate Your Content? Automatic machine translation – think Google Translate. The benefit of this approach is that it’s quick and easy. But, as anyone who’s ever used Google Translate can tell you, it’s definitely not perfect. So unless you manually review all of the machine translations, you might have some nonsensical translations. Manual translation – this is where you go through and have a human add all of the translations. Yourself. If you speak both languages, you might be OK doing everything solo. Third-parties/freelancers. You could hire a freelance translator to work in the plugin’s interface. Professional service. You could hire an actual service to work with your translations outside your interface. This might seem a little overly detailed – but you can actually find plugins that will help you with those last two. For example, some plugins include direct integrations with third-party translation services, and others will give you special Translator user roles that you can give to users at your site. Do You Care About Multilingual SEO?Do You Care About Multilingual SEO? 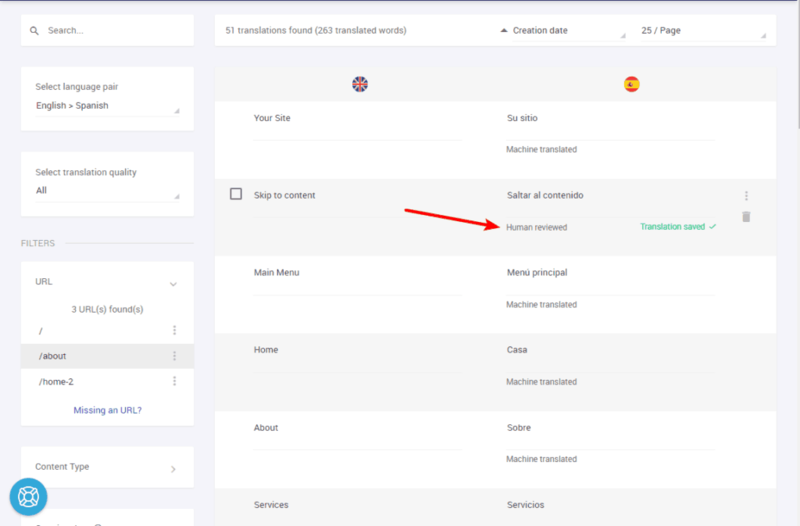 If you want Google to be able to index and rank the translated version of your site, you need to pick a translation plugin that will create a fully indexable version of your site. To improve the SEO of your site, make sure you also check our list of Best SEO Tools for Bloggers Looking to Increase Traffic. Does The Plugin Let You Translate Everything?Does The Plugin Let You Translate Everything? User-restricted content (e.g. a membership site where logged-in users see different content than anonymous users). Not all translation plugins do as good of a job at translating the smaller details. What Type Of Interface Do You Want To Work In?What Type Of Interface Do You Want To Work In? Some plugins give you a PO editor-style interface that’s essentially a table with the original text on one side and the translated version on the other. Others will basically let you create an entirely new version of a post for each different language. And still, others will give you a visual interface where you can click on any text on a live preview of your site. There’s not necessarily a single “right” answer here. But you’ll want to pick a translation plugin with an interface that you think will let you work productively. 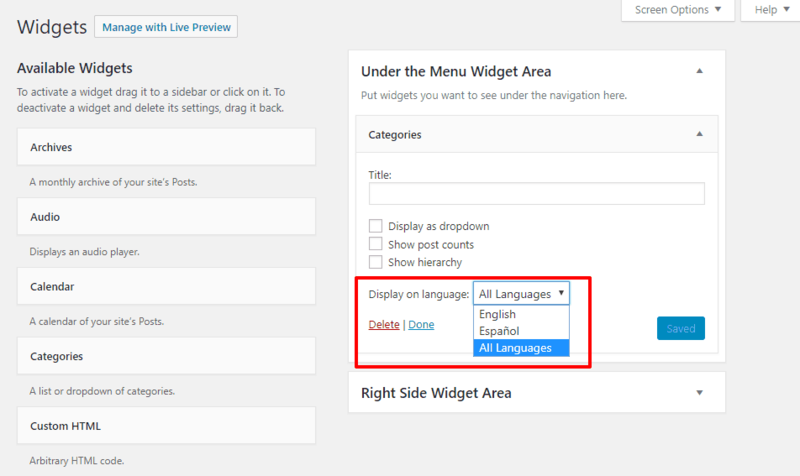 There might be some other considerations that are unique to you – but focusing on these details should give you a good start on how to choose the right multilingual WordPress plugin for your needs. Now, let’s dig into some of the best tools to help you create a multilingual site. By the numbers, Polylang is the most popular WordPress translation plugin that’s available for free at WordPress.org. It also comes in multiple Pro versions for both regular sites and eCommerce stores. In its default functionality, Polylang only works for manual translation. But it’s also built to integrate with the Lingotek plugin from the same developer, which helps you connect to third-party translation services (including automatic translation). The interface has a lot of similarities to the well-known WPML, so this is a good solution to look at if you’re searching for WPML alternatives. 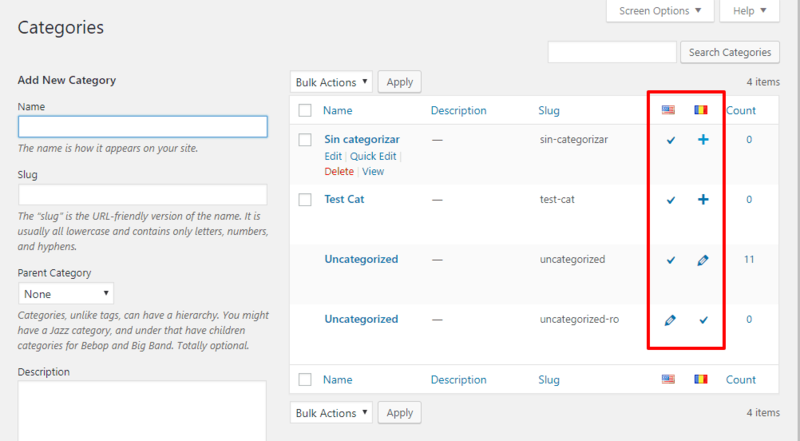 It also has special integrations for some plugins, like WooCommerce, ACF, and the Events Calendar. Polylang will not pick up all your theme’s strings like WPML, but there is a free Polylang Theme Strings plugin that can help you add that functionality. To create translated menus, you’ll basically create a different menu for each language. Unfortunately, there’s no way to automatically sync menu items between different languages. Polylang, combined with the companion Lingotek plugin, gives you a complex translation solution, without adding so much weight on your site. It has the benefit of a free version, however you might need the Pro version to translate some content, like WooCommerce or custom post type slugs. 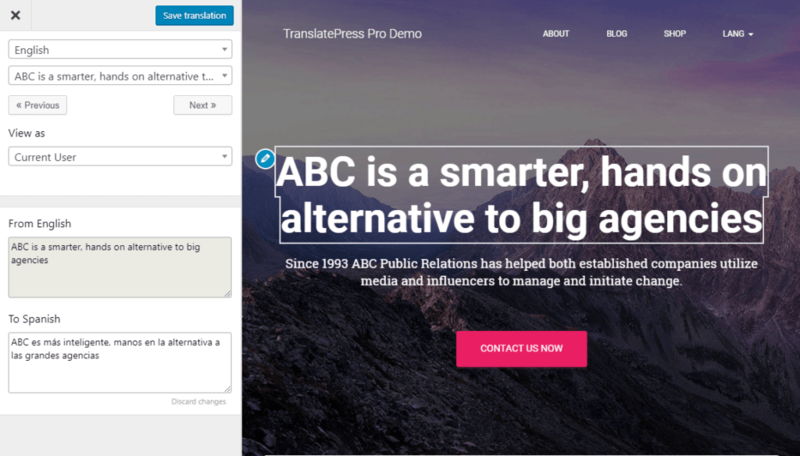 TranslatePress is a relatively new WordPress translation plugin that offers up an easy-to-use visual translation interface. The aforementioned easy visual translation interface. Translation completeness – TranslatePress lets you translate everything, including dynamic content. 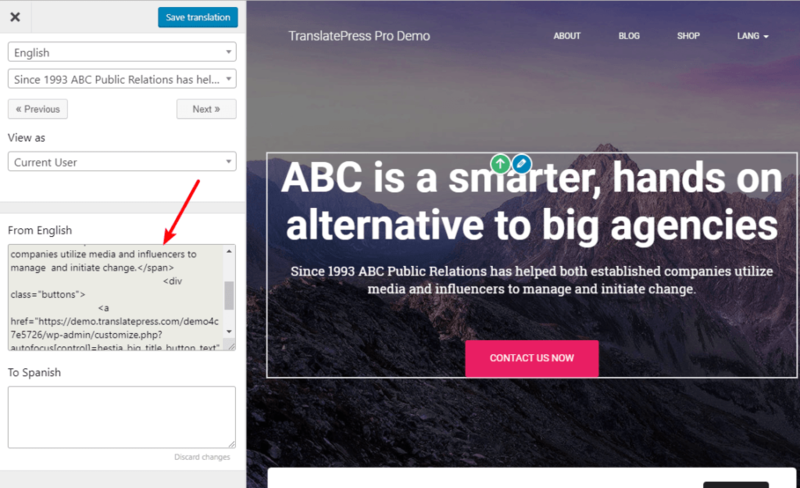 Translation methods – you can manually translate your site or connect to the Google Translate API for machine translation. 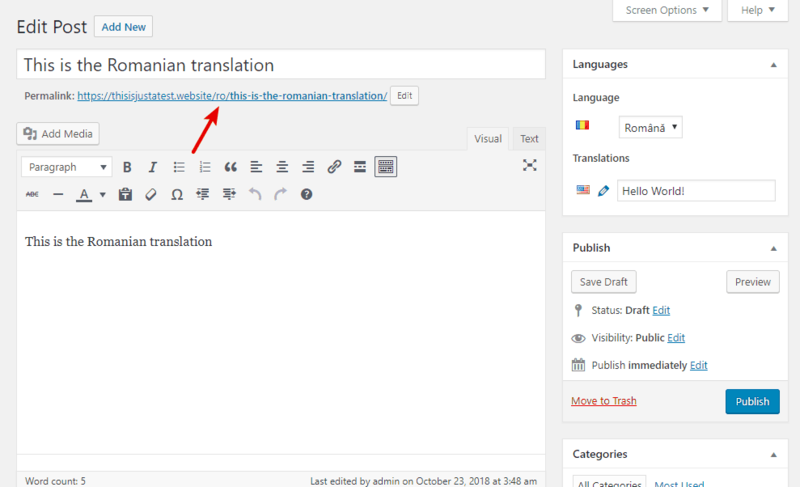 There’s a basic free version of TranslatePress at WordPress.org that’s a solid option if you just want to add support for one other language. But if you’re serious about SEO or want some other more advanced features, you should go with the Pro version. You already heard about the visual interface, complete translations, and Google Translate integration. Ability to translate SEO meta information and social media graph tags. SEO-friendly URL structure using subfolders (no subdomain support, though). Because of the great visual interface, TranslatePress is super simple to use. You can also use the View as option to select a different user role, which helps you translate dynamic content. It has a user-friendly interface that’s great to work in. 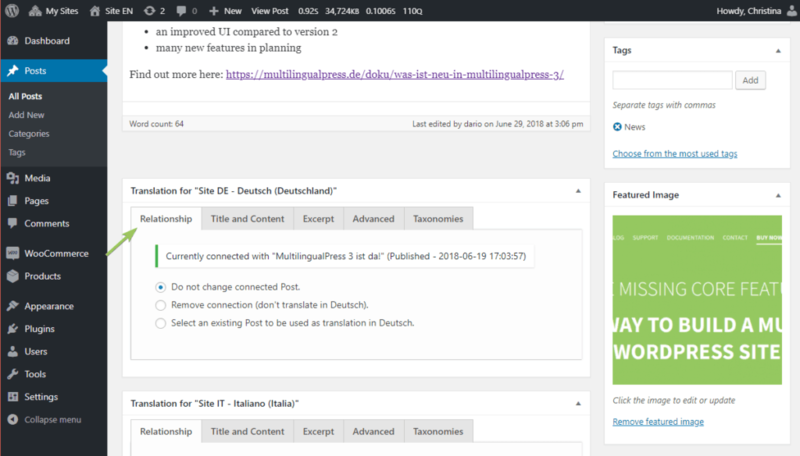 You can translate 100% of your site, including dynamic content and theme/ plugin gettext. You can automatically translate your entire site with Google Translate and then go back and manually correct your translations. Weglot is the absolute easiest way to translate your WordPress site, though it comes at a cost. As soon as you activate Weglot, it automatically translates your entire site. Then, you can go back and manually review all of these translations. The end result is that you a 100% translated, SEO-friendly site in the first five minutes or so. You’ll have to pay a monthly fee for as long as you want to use Weglot. But the upside is that it’s super convenient. There is a limited free plan that you can use to test it out. After that, paid plans start at €9.90 per month. Beyond the automatic translation and cloud interface that you’ll see in a second, Weglot can also help you connect to third-party translation services to have professionals translate your content. Weglot also does a great job of translating every little part of your site, including Yoast SEO meta descriptions and URL slugs. You’ll see more in the interface. To get started, you’ll need to create a free Weglot account and then add your API key to WordPress via the Weglot plugin. As soon as you activate Weglot, it automatically loads all of your text content into the cloud interface and translates it. 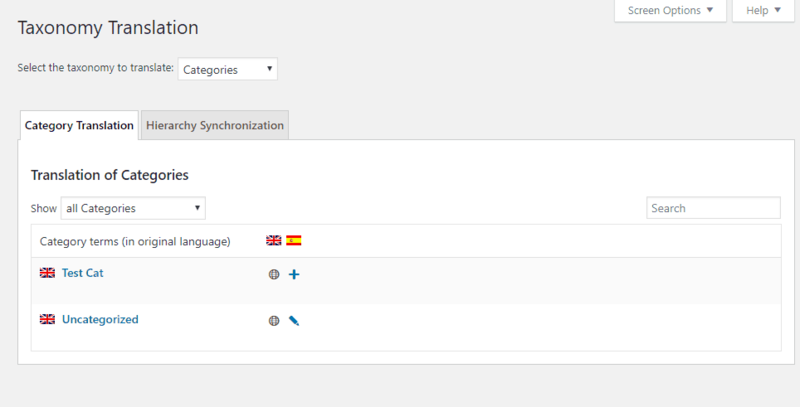 From that cloud interface, you can access two different translation interfaces to review your translations. One nice feature is the ability to mark each translation as reviewed by a human. This helps you keep track of what you’ve already done. Weglot offers a very convenient way of translating your site. If you’re willing to pay, it’s probably the easiest way to create a multilingual WordPress site. If you ever stop paying the monthly fee, your translations will stop working (Weglot will help you export your translated content, though – you’ll just need to find a new way to get it on your site). MultilingualPress handles creating a multilingual WordPress site in a unique way. It uses WordPress Multisite to create a network site for each language that you want to offer. While each language is technically a separate site on the same WordPress Multisite network, MultilingualPress links everything together so that it’s easy to use. There is a free version available at WordPress.org, but the newest version – MultilingualPress 3.0 – is only available as a premium version. 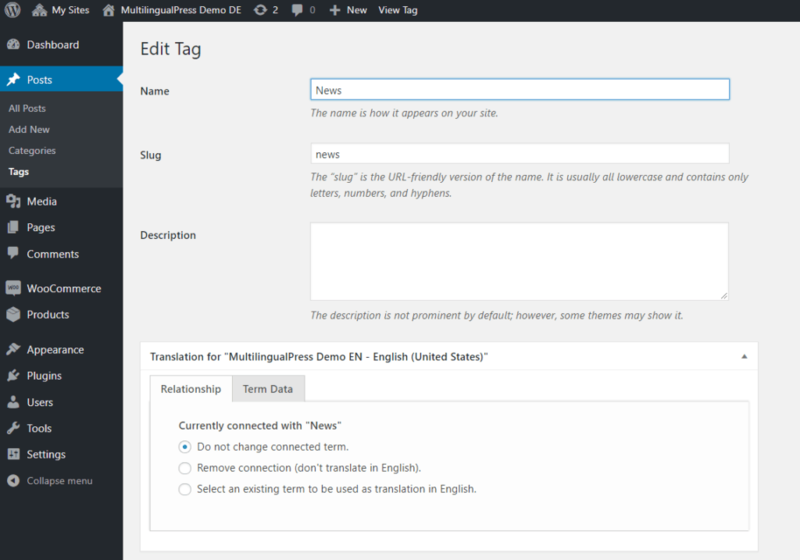 You already saw the most unique feature above, but here are some of the more nitty-gritty features that you get with MultilingualPress. Choose from multiple options for URL structure – separate domains, subdomains, or subfolders. 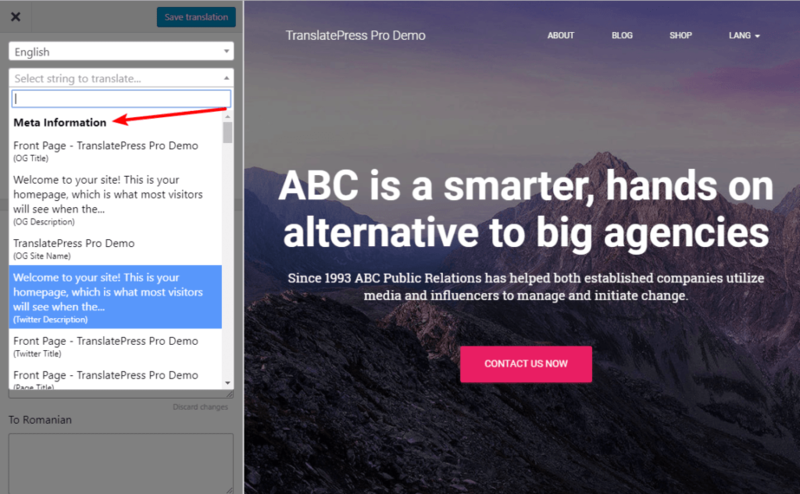 Beyond SEO, MultilingualPress makes it easy to translate 100% of your site (again – it’s a separate site, so you have the full power to localize everything). Despite being separate sites, you get a lot of helpful synchronization options, including the option to sync deleting content across all sites. MultilingualPress currently only supports manual translation. You can either translate your content by yourself. Or, you can use the TranslationMANAGER to outsource content to a third-party service (this plugin is from the same developer). The big reason to choose MultilingualPress is if you like the unique approach of using WordPress Multisite. There are a lot of proponents of this method. For example, WooCommerce recommends MultilingualPress in the official WooCommerce docs. 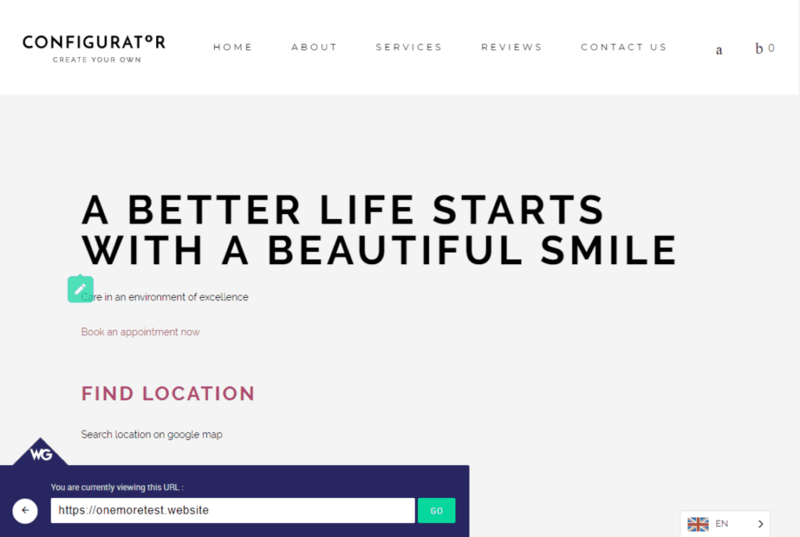 And the Yoast SEO team also believe that Multisite is the best solution for creating a multilingual WordPress site. 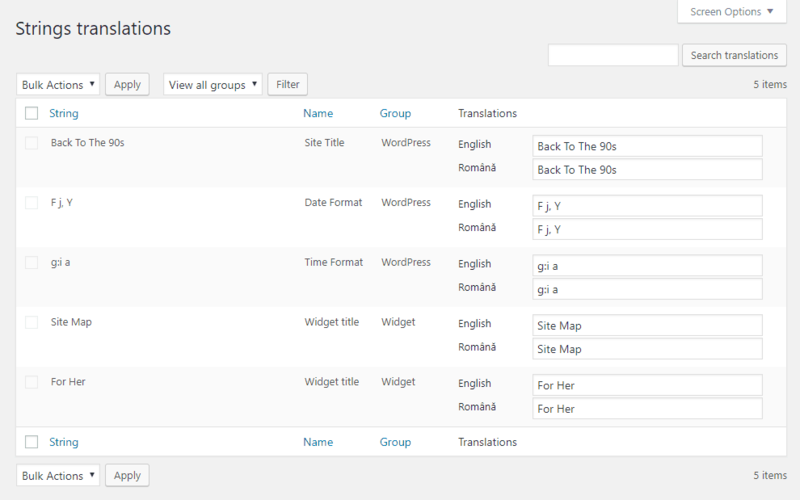 WPML is kind of the old dog when it comes to WordPress multilingual plugins. It’s been around for over a decade now and is still going strong. However, it’s also very heavy and has quite a lot of issues with caching in general, especially with object cache tools like Memcached. WPML is mainly focused on manual translation, but you can kind of get automatic translation by outsourcing your translation to a service that supports machine translation. There is no free version of WPML. Paid plans start at $29, but most users will want the $79 Multilingual CMS version because that’s what lets you create a fully translated website. Connecting to third-party translation services. 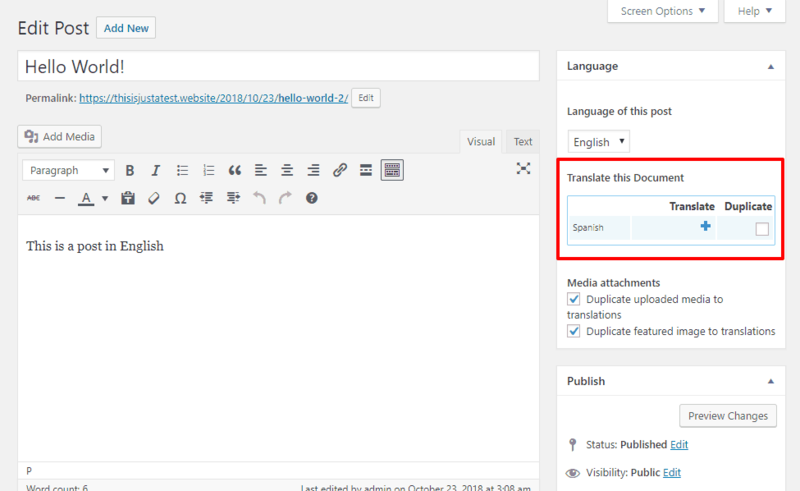 Giving you dedicated translator WordPress accounts that you can give to freelancers for direct access. As for how you translate your site, you get a few different interfaces. Sometimes you’ll work in a string interface, and other times you’ll basically create a duplicate post/page to house your translated version. Choose between creating fully indexable translated versions with subdomains, subfolders, or separate domains. WPML’s translation options are spread across a few different interfaces. For other parts of your site, you’ll need to work in separate interfaces. So things are a little spread out – but you get access to pretty much everything. Create “Translation Jobs” to outsource to third-party services or assign to Translator user roles. Translation management is one of the areas where WPML excels. If you’re planning to work with third-party translators or translation services, WPML has a lot of tools to make your life easier. Additionally, if you like how WPML divides up the translation interface, that would be another reason to choose it. This one comes down to personal preference, though. Google Language Translator is kind of a bonus because it’s nowhere near as detailed as the other multi-language plugins. 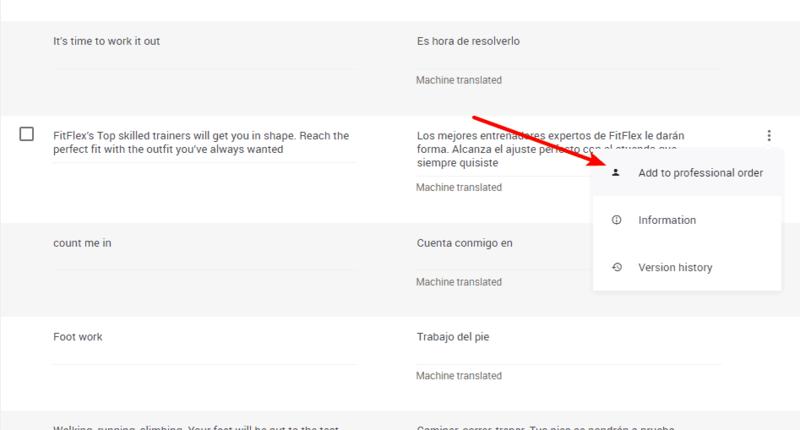 Basically, it just adds a Google Translate button that lets your visitors dynamically translate your site. You can’t manually edit or control any translations; it’s all machine translation. But if you just want to make it easy for visitors to run your site through Google Translate, this one is about as simple as it gets. Create A Multilingual WordPress Site Today!Create A Multilingual WordPress Site Today! 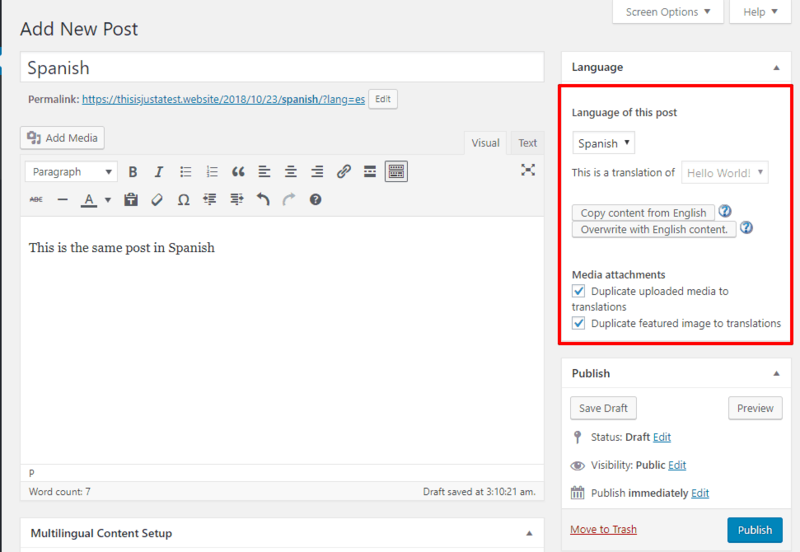 And there you have it – six of the best ways to create a multilingual WordPress site. Visual interface. Go with TranslatePress for a self-hosted, GPL solution or Weglot for a SaaS option. Translation management to work with services or freelancers. WPML probably has the best features, though Polylang is viable with Lingotek and Weglot also helps you outsource to professional services. Automatic translation. TranslatePress and Weglot are the best options if you care about SEO, while Google Language Translator is stellar if you don’t. And finally, MultilingualPress is a unique option because of how it uses WordPress Multisite. If you want absolute control over each language’s site, it’s a great option.